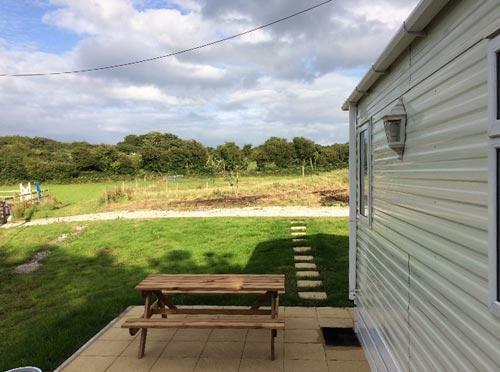 Luxury static caravan on the beautiful island of Anglesey situated on our equestrian smallholding surrounded by 20 acres of farmland. This idyllic setting offers both peace and tranquility - the opportunity to relax and unwind in a secluded, rural setting. 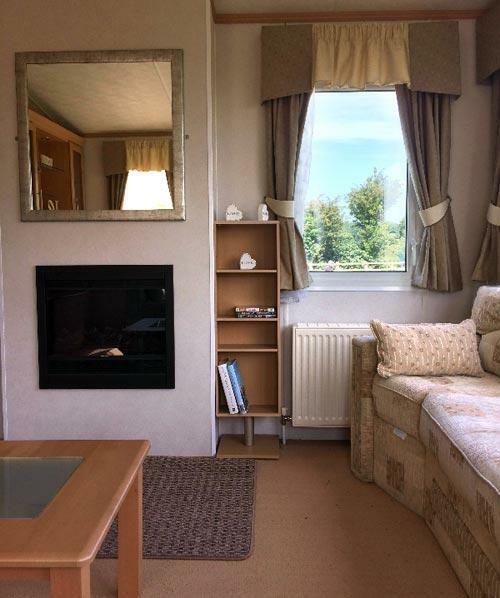 This modern spacious caravan sleeps 4 and is available all year round with a minimum of 2 night stay. 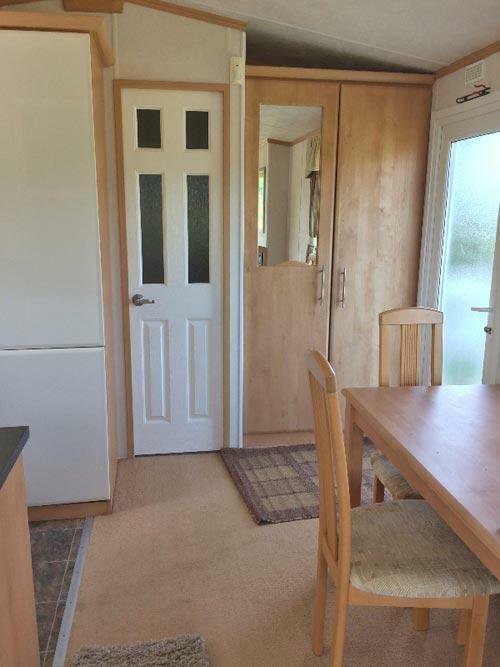 It is centrally heated and double glazed, making it cosy no matter what the weather. 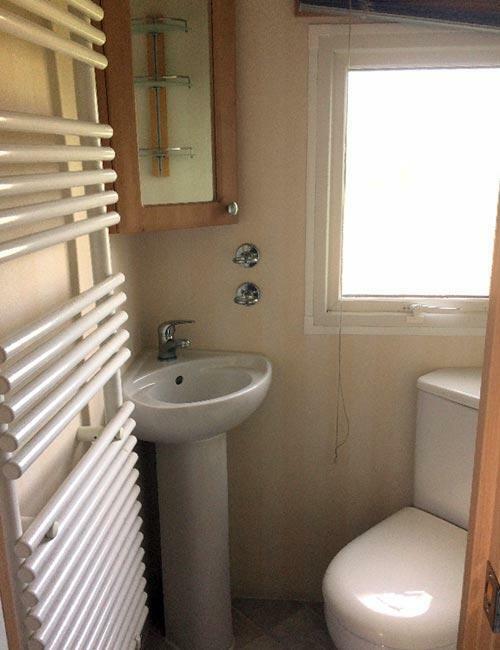 Master bedroom with en-suite. 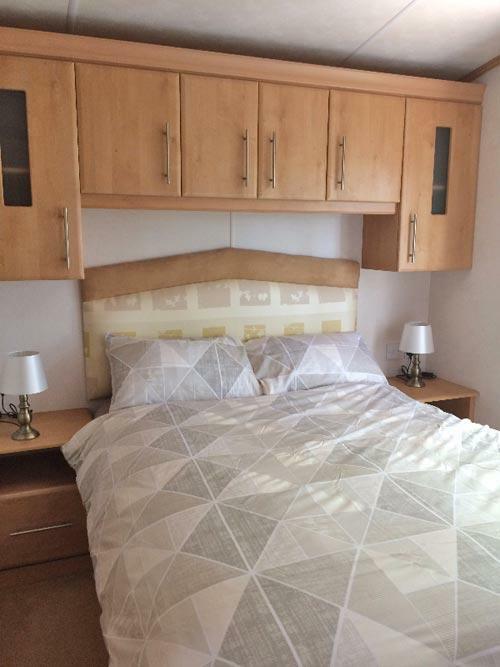 Twin bedroom (which can also be a double). Family bathroom. 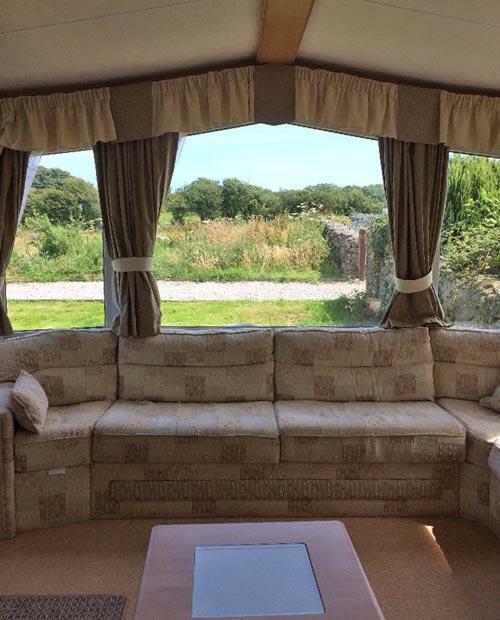 Lounge with large seating area with Freeview TV, DVD, electric fire. Dining table and four chairs. Selection of books and DVDs. Wifi internet access. 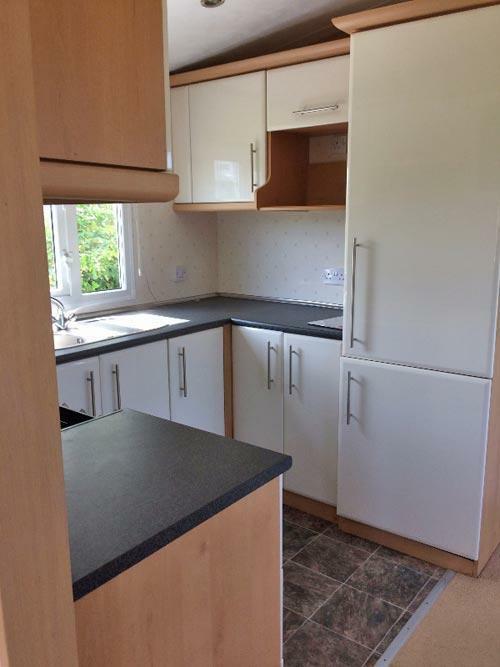 Fully equipped kitchen with microwave, oven fridge/freezer etc. Patio area with seating. Bedding is provided, please bring your own towels/tea towels. A welcome pack awaits your arrival including milk, bread tea and coffee and eggs supplied by a local farmer. 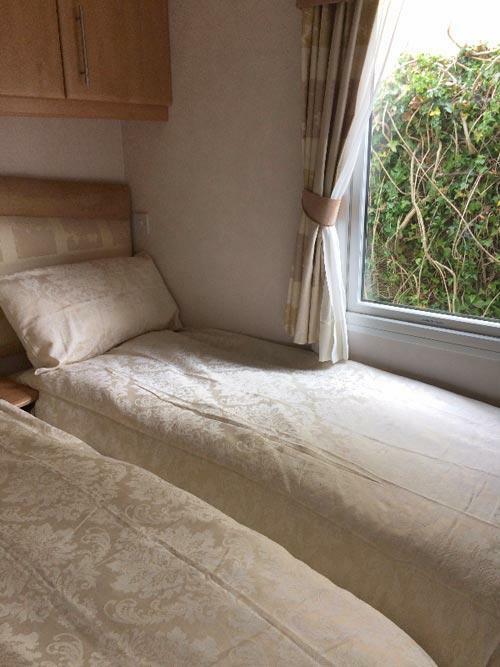 We are 5 to 15 minutes from the sandy beaches of Benllech and Red Wharf Bay as well as the historic town of Beaumaris with its spectacular castle, pier and views. Newborough Forest is also nearby with its shady forest and beautiful long sandy beach with magnificent views. 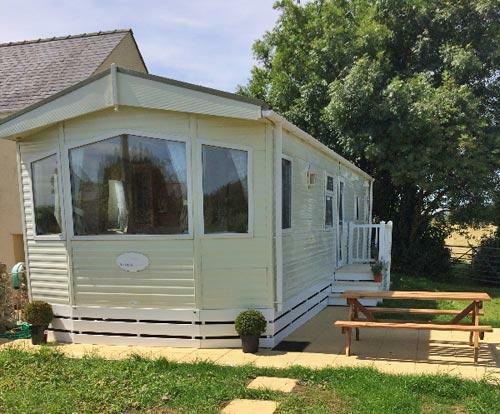 There are many good local restaurants and pubs as well as an excellent supply of local shops The caravan is also ideally situated for cyclists, as it is on the cycle route. 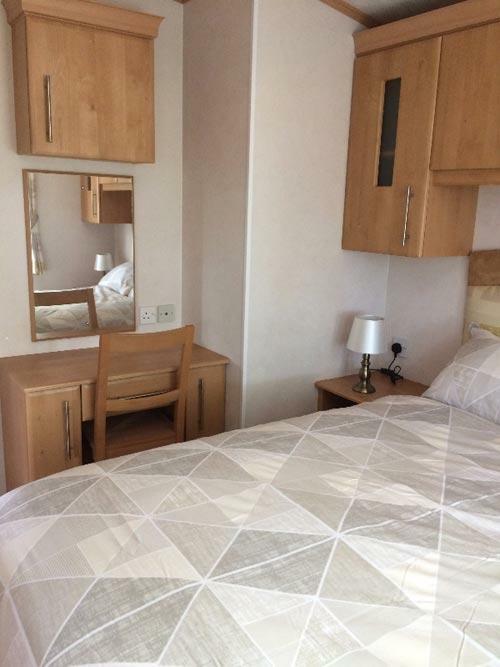 £50 Deposit secures booking. Balance to be paid 14 days prior to arrival. Check in 3pm, checkout 10am on day of departure. Sorry but no children under 5. Pets only strictly by prior arrangement.